As the Director of Training and Development, Jim Merkle brings decades of experience to Cohn Corporation. Jim is responsible for the training, development, and engagement of our staff making our staff on the most equipped in the industry. 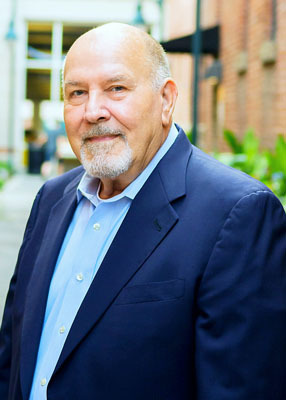 Jim comes to Cohn Construction after working in the business and executive consulting arena for more than 25 years. Previously, Jim has a successful career as President/CEO of a publicly traded company, Allied Digital Technologies, AMEX (ADK). He personally managed various construction projects and facilities expansions over a 15 year time span. Prior to that was a project manager at Eastman Kodak responsible for building and expanding laboratory facilities and earned his Professional Engineering license in New Jersey. Jim has worked with hundreds of privately held companies from $5-70 million in sales. The engagements ranged from contractors, manufacturers, distributers, and professional service firms. A University of Rochester graduate, Jim earned his degree in Chemical Engineering and completed various executive education courses at the University of Michigan. His expertise shines in the areas of project management, estimating, bidding, organizational controls, sales and marketing strategic initiatives, as well as budgeting and financial controls.